The Lorax Asks: Where Did The Bonefish Go? My Granddaughter, Izzy, calls me Oompah. One of the great privileges of this Oompah is reading books which I have not touched since my five children were little. One of my favorite children’s authors is Dr. Seuss. Over the last several months, I have read “The Lorax”, first published by Random House in 1971, to Izzy several times. 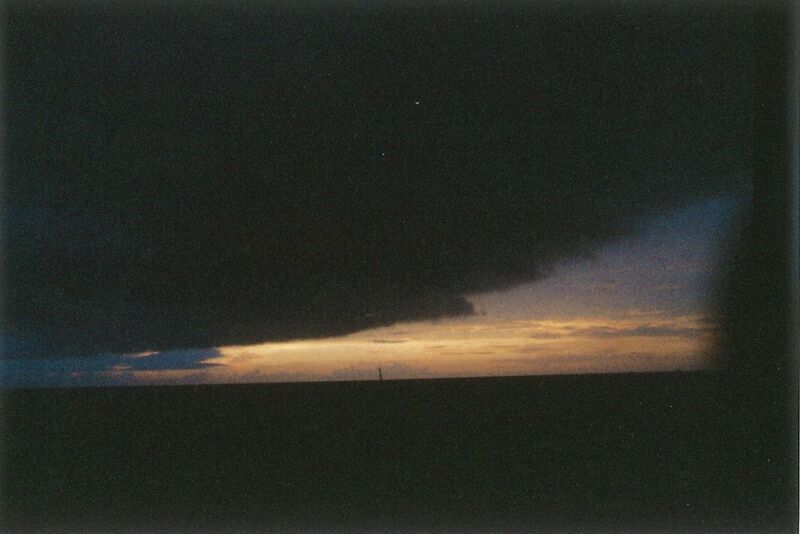 The last occasion was upon my return from the Everglades fishing trip about which I have previously posted. As I read and thought about Dr. Seuss’ warnings of the dangers progress poses to our world, I thought back to a dream I had while on the Everglades trip. On day 2, Guide Steve Huff and I were talking about how the great bonefishing of years gone by had made fishing in the Florida Keys so much fun. Two years ago, the annual November fishing trip I take with five of my fishing buddies ended. Four of us continued the fishing adventure by retreating from the Florida Keys to the Everglades. 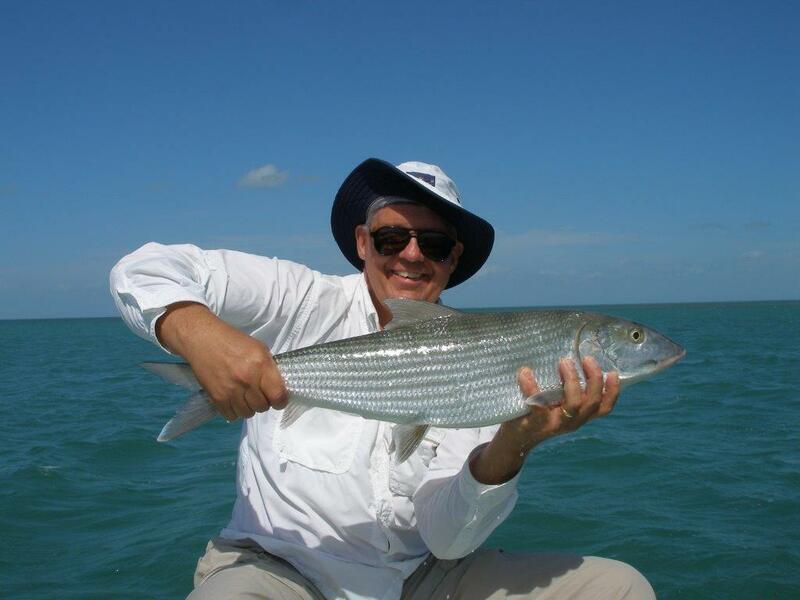 In part, the decline of the number of bonefish and the quality of the bonefishing in the Keys played a substantial role in that difficult decision. On Tuesday evening after talking bonefish with Steve, I had a dream. 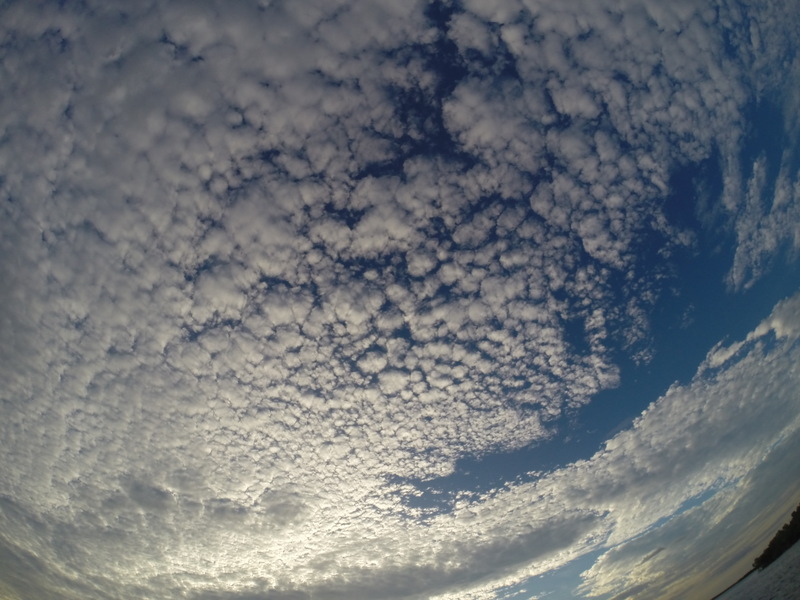 I dreamed Steve was piloting a helicopter in a shockingly beautiful sky over my favorite Keys fishing hole, Long Key Bight. With the tropical sun creating infinite visibility of the flats below, I peered from the passenger seat. As the helicopter banked from left to right, we futilely searched every inch of the Bight looking for a sign of a bonefish. There were no muds, no wakes, no tails, no fish. As the copter approached the shoreline, we noticed a small creek running from the gorgeous turtle grass lined bay where we had often seen approaching schools of 20 to 30 bonefish suddenly appearing like a mass of black footballs searching for food over the dark green bottom. The small creek flowed into a crystal clear sand bottom pond. The overhead sun reflected green streaks from the backs of two bonefish which moved easily through the pond creating a milky cloud of sand or what is called a “mud” as the fish attempted to stir up crabs, shrimp, or buried worms for lunch. As we watched the happily feeding bonefish, they swam into a second creek which led to a larger pond which held a school of a dozen big gorgeous bones. As we hovered over this group, they bolted quickly as if spooked by the wash of the helicopter blades. The startled fish streaked off into an even broader creek leading to a larger stunning lake in which hundreds of bonefish were swimming. Steve quickly landed the helicopter. We jumped out, took rigged rods which had been strapped to the landing gear of the copter, and waded in the pond intent on landing one of these bruiser bonefish. As we began to cast, a man approached the side of the pond yelling “Huff, why are you fishing in my lake?” Steve replied, “What are you doing hoarding all the bonefish?” I awoke. Frankly, I cannot afford the psychoanalysis necessary to determine the full meaning of the dream but I promise you this. 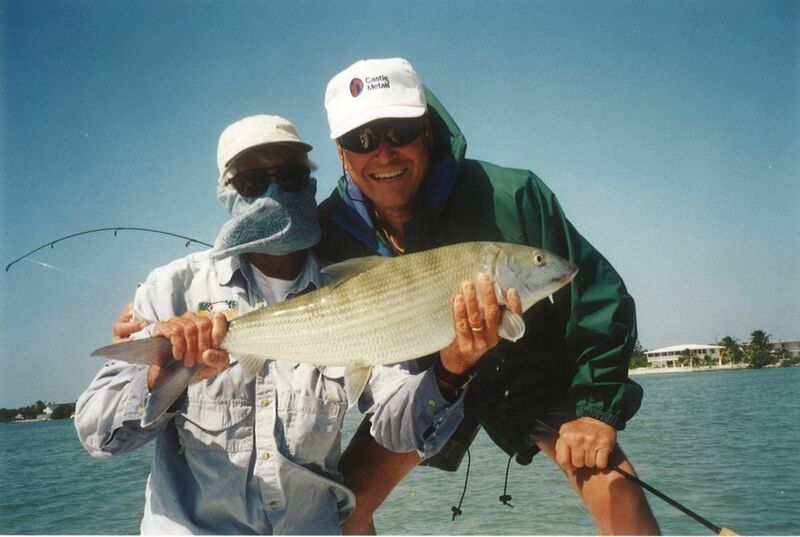 If the bonefish were still plentiful in the Keys, our group would still be taking our annual trip. When adults give up something they love and are capable of doing there is often a compelling reason. For us, not enough bonefish was reason enough. So I began to wonder, was there anything I could do to improve the Keys bonefishing. The dream, my perplexed curiosity about my own responsibility to do something, my missing bonefishing and our trip to the Florida Keys were on my mind as I read Izzy the Lorax. The story begins as a young boy wanders up the Street of the Lifted Lorax. The boy is curious about just what the Lifted Lorax was. He has been told that an old man named Once–ler still lives deep in a former forest now covered by sharp edged gricklegrass. The Once-ler is suspected to know what the Lorax was and why Lorax used to make his home in a spot where now the “wind smelled slow and sour and no birds ever sing except old crows”. After bribing the Once-ler with “fifteen cents, a nail, and the shell of a great great-great-grandfather snail”, the Once-ler whispers through a long sneggley hose which he lowered to the boy on the ground. Once-ler whispers the story of how the Lorax was lifted and taken away. The Once-ler claimed he had searched for trees such as the Truffula trees his whole life because the “touch of their tufts was much softer than silk and they had the sweet smell of fresh butterfly milk”. With joy in his heart, the Once-ler got out an axe and with “great skillful skill” chopped down the first Truffula tree with a single chop. He plucked the tuft from the top of the tree and knitted a Thneed. Once-ler recruited his family to work. They became adept at knitting and selling Thneeds and chopping down Truffula trees. As the trees disappeared, so did the Lorax. But as the tree supply dwindled to a precious few, the Lorax reappeared on behalf of his Brown Bar-ba-loots who had “the crummies because they have gas, and no food in their tummies!” There was no Truffula fruit to eat and so the Lorax sent the Bar-ba-loots away. Dr. Seuss writes that Once-ler felt sad as he watched the creatures wander away. But, Once-ler knew that business was business. He boasted to the Lorax that “business must grow regardless of crummies in tummies, you know.” And although he meant no harm, Once-ler went right on “biggering” his roads, his factories, and most importantly, his money. But as we know, factories wear out and on a day when Once-ler was fixing some pipes, the old nuisance Lorax came back with “more gripes”. Lorax complained of “smogulous smoke” in which the “Swomee-Swans could no longer sing. His dander was up because the Once-ler’s machinery created “Gluppity-glupp.” The Lorax showed Once-ler what he did with his “leftover goo”. Lorax explained that Once-ler was “glumping the pond where the humming fish hummed. No more can they hum, for their gills are all glummed.” With no other choice, Lorax sent the swans and fish away. The Once-ler got mad! He yelled at the Lorax “now listen here, Dad! All you do is yap, yap and say, ‘Bad! Bad! Bad! Well, I have my rights, sir and I’m telling you I intend to go on doing just what I do!” And Once-ler kept biggering until the last Truffula tree fell. No more trees. No more Thneeds. Since there was no more work to do, Once-lers family departed and as they drove away under the “smog smuggered stars” all that remained was a bad smelling sky, empty factory, the Lorax, and Once-ler. Dr. Seuss writes that while saying nothing, the Lorax gave a sad glance backward, lifted the seat of his pants and hoisted himself through a hole in the smog. He left behind a small pile of rocks with one word… “UNLESS.” For years, Once-ler was curious about what that pile of rocks with the word “UNLESS” meant. Then the Lorax and all his friends may come back. And so my dream of rediscovered bonefish swimming from pool to pool of crystal clear water and the Lorax warning “UNLESS” spelled out with a pile of lonely rocks have challenged me to make an effort to explore the question of what a single fisherman can do for the bonefish. Is it possible for me to plant a Truffula tree for my favorite fish? In my next post, I will offer pictorial evidence and fishing stories of my friends to prove that the Florida Keys bonefish population was once significant but is now dwindling. This entry was posted in Fishing Stories and tagged Bonefish, Conservation, Fishing, Florida Keys, Lorax by Tarpon Slam. Bookmark the permalink. BoBo – I don’t know about Lorax fishing, but I would like to catch a bonefish. That could be a direct challenge to Huff, senior or junior!